One of the reasons that make us love Japan is because Japan has lots of delicious foods, isn’t it? Since Japan has lots of media, such as anime, manga, dorama, game, etc, to spread their culture; it also make the Japanese foods become well-known among us and even in the world. I guess there isn’t someone who doesn’t have any idea about sushi today. Another interesting thing is Japan has lots of variation of foods because Japan has four different seasons, since you can’t eat something that is cold in winter season unless you wanna get stomachache. Today, as the winter season draws near, I’m going to cover about what are the Japanese winter dishes, the tasty foods that can make our mouths water and warm our body as well in the midst of the snowy season. Yudofu or in English literally known as Tofu Hot Pot is one of the favourite winter dishes in Japan. Yudofu itself is tofu, that often cut in blocks, simmered in hot water along with vegetables. This Yudofu is often eaten with condiments like ponzu, a Japanese sauce that based on citrus, and yuzu kosho, another Japanese sauce made from chilli peppers; yuzu peel; and salt. Making yudofu is quite simple since the tofu is the main stuff in this dish. Since Yudofu is a Tofu Hot Pot, of course you will need a hot pot to cook this dish. Moreover, I guess it’s not winter if we don’t eat any food using hot pot, is it? Yosenabe is another hot pot dishes that is very popular in Japan. The meaning of the yosenabe itself is to put everything, meat; seafood; tofu; egg; and vegetables, and cooked it together in a pot. Usually, yosenabe is cooked in at the dining table as people eat. The different thing with the yudofu on above is that yosenabe has more variety in the ingredients than yudofu. One of the winter variation of Udon, this is Ankake Udon. Udon itself is a type of thick noodles of Japanese cuisine, different with ramen that is a thin noodles cuisine. The Ankake Udon itself is a udon that is served with a thick soup with other ingredients added in it, such as mushroom, beans, carrot, and vegetables. Different from the other dishes that I’m covering here, this torizosui is not a hot pot dish. 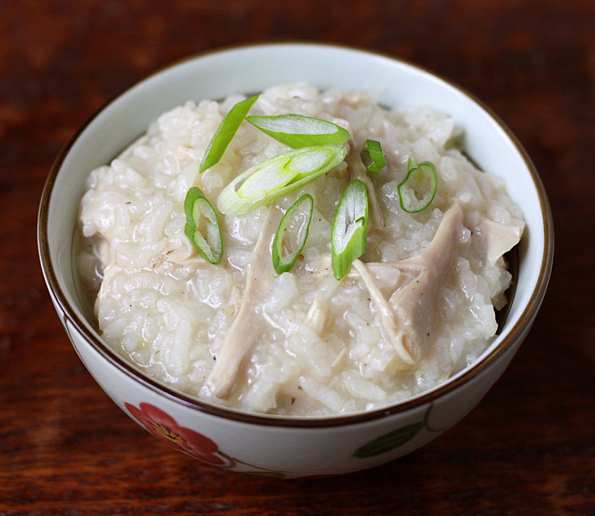 Tori Zosui is a thick Japanese rice soup with chicken. Usually, leftover steamed rice is simmered in dashi soup. Maybe most of you are familiar with tori Zosui since this dish looks identically with porridge. Though it is not a hot pot dish, Tori Zosui is still a winter dish and a favourite one. In Japan, winter won’t be a complete winter without a bowl of hot oden. Oden is another popular winter dish consisting of several ingredients such as boiled eggs, daikon radish, konnyaku, and proceed fish cakes stewed in a light, soy flavoured dashi broth. The Ingredients of Oden vary according to region and each household. Karashi (Japanese mustard) is often used as a condiment. Usually, oden is cooked in a hot pot. On the other hand, for those who don’t like to cook by themselves but still want to have it, you don’t have to worry since oden is often sold from food carts and most of the Japanese convenience stores have simmering oden pots in winter. Many different kinds of oden are sold, with single-ingredient varieties as cheap as 100 yen. *You may use oden seasoning sold at Asian stores instead of using sake, soy sauce, and sugar. Put four cup of dashi soup stocks in a large pot or donabe pot. Add sake, soy sauce, and sugar in the soup. Place ingredients in the pot. Bring to a boil and turn down the heat to low and simmer for 40 – 60 minutes. Add dashi soup stock and soy sauce as needed. ← Top 7 Most Romantic Places in Tokyo! Wish you can find the stuffs and I’m looking forward for the result. Delicious… :) Yosenabe’s the best one of these!! Nosenabe and Oden for me!